Richard Gergel is a United States district judge who presides in the same courthouse in Charleston, South Carolina, where Judge Waring once served. 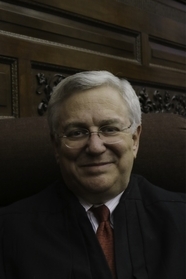 A native of Columbia, South Carolina, Judge Gergel earned undergraduate and law degrees from Duke University. With his wife, Dr. Belinda Gergel, he is the author of In Pursuit of the Tree of Life: A History of the Early Jews of Columbia, South Carolina.